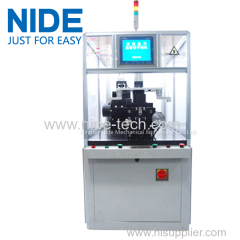 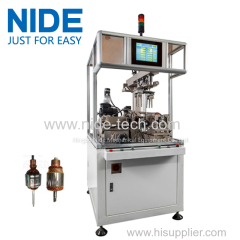 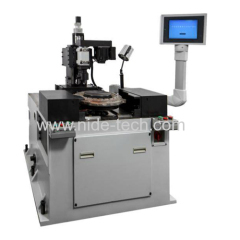 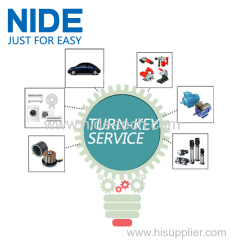 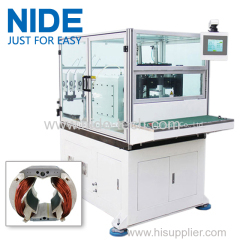 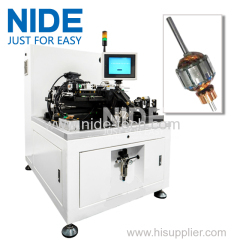 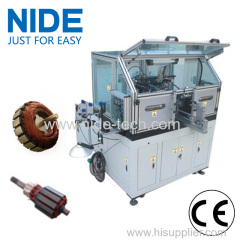 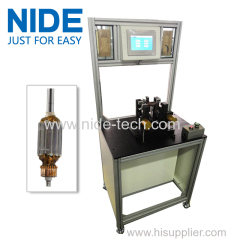 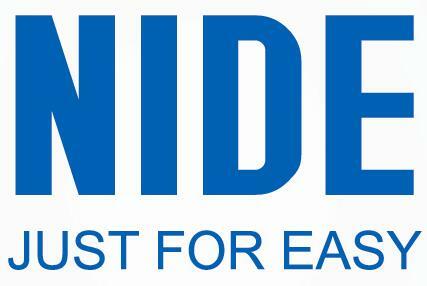 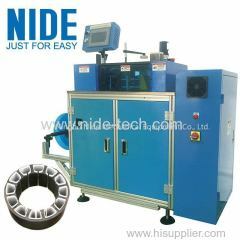 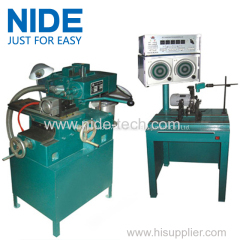 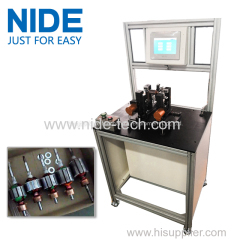 Five-working station Generator Armature Automatic Balancing Machine from China manufacturer - Ningbo Nide Mechanical Equipment Co., Ltd. 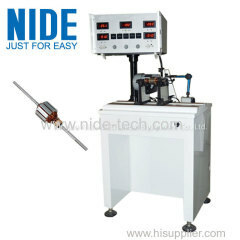 The automatic rotor balancing machine is suitable for generator. 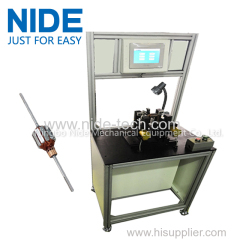 For this type of Five station Armature Balancing Machine, armature does not need to mark, directly put on the conveyor, there are 5 working stations: loading and unloading station, initial measuring station, left side cutting station, right side cutting station and remeasuring station. 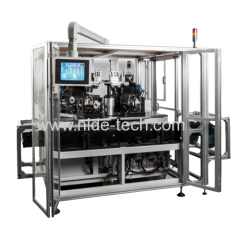 High efficiency and precision.PLC controlled, all the data can be set on the touch screen. 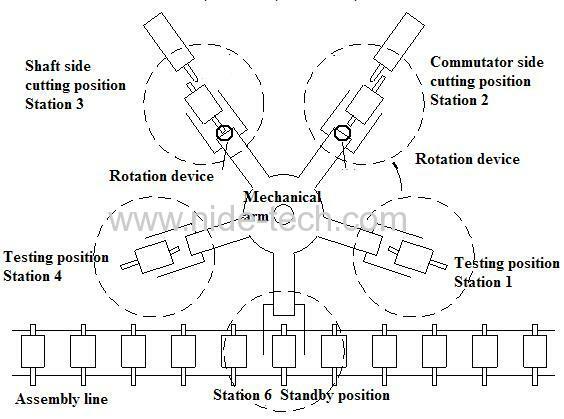 Machine consist by idle station (station0), initial test station (station1), commutator end processing work bench (station 2), shaft end processing work bench (station3) and retest station (station 4) such five station in total. 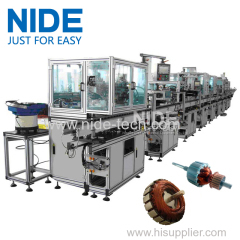 Besides, it is also include five machine hands,transportation line,drilling main shaft and dividing devices. 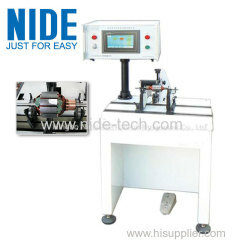 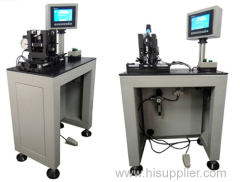 Machine hands transport it from idle to initial test station (station 1) to measuring original unbalance mass, positioning the right place and depth before process. 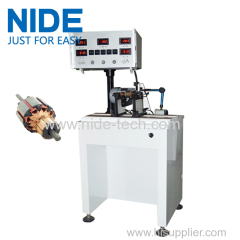 Machine hands move armature to next station (station 2) in order to process imbalance amount of commutator end. 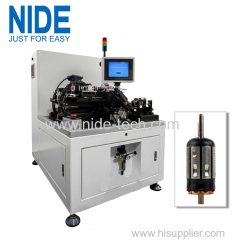 Machine hands move generator armature to next station (station 3) in order to process imbalance amount of shaft end. 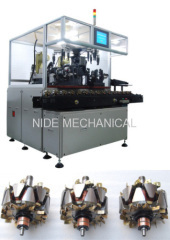 Before that, machine hand will turn 180 degrees of armature to lead shaft end out towards. 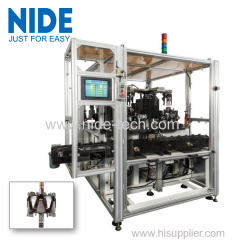 Machine hands move product to retest station (station 4), measuring the permissible residual unbalance. 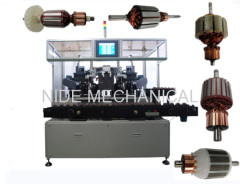 Before that, machine hand will turn 180 degrees of armature to lead shaft end inner towards. Machine hands move product back to original station (station 0), while the armature is qualified after test, machine will pick up next one from idle station to start another round processing, good one will come back to transportation line. 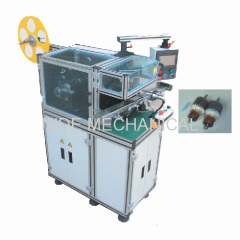 If the result is not within permissible residual unbalance, system command the machine come back to the first stage and restart a copy. 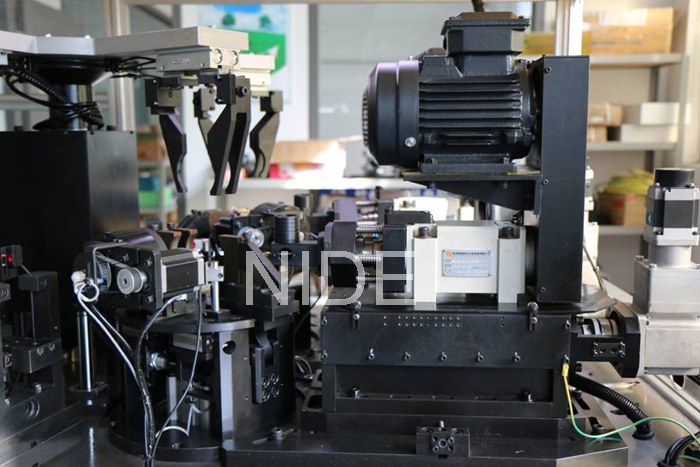 There are five stations in this machine, so it is possible to process five pieces in the mean time. 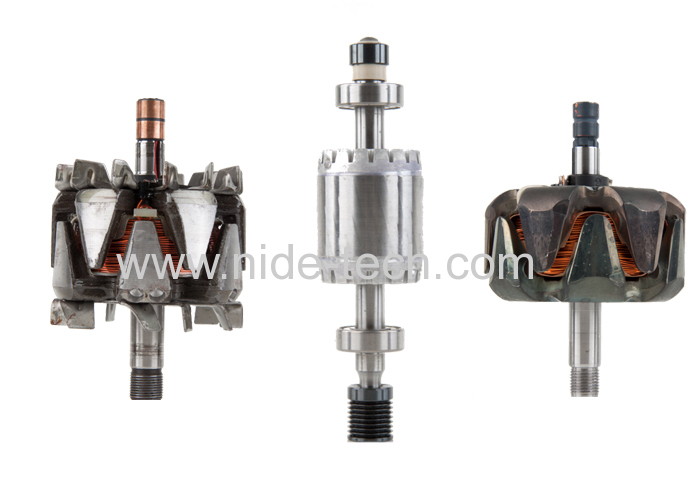 The way of process is radial drilling method, use F6~ 8 driller; the cycle time 25 to 30 seconds per unit in condition of initial unbalance amount within 300gmm.